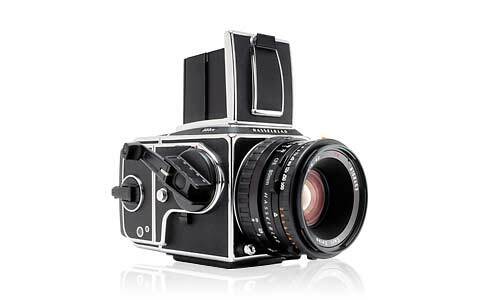 Home » News » Is Hasselblad Lunacy About to End? Hasselblad Lunar is a camera that many have heard about, many have seen images of, yet we never spoke about it here at Photography Life. We have not compared it to any other camera nor even let you know about the announcement as we usually do with high-end cameras. And the Lunar is indeed a high-end camera, a good one at that (if you choose to ignore one or two facts, more on which later). So… Why didn’t we ever mention it? I will be honest – we don’t like it all that much. No, that is kindly said. Actually, we think it is utterly, utterly pointless. Yet here I am, writing about it. Why now? Well, there is a good reason to. In fact, I think this is the only reason to ever talk about the Lunar. The heading of this article should have given you a good idea on what I’m on about. You see, there is a good chance that the silliness is about to stop – Hasselblad has replaced its CEO (a while ago, actually) and announced a proper camera, the CMOS-sensored H5D-50c. So then, let’s talk Lunar. Let’s talk Hasselblad. Before we try to understand why the Lunar is such a terrible camera for Hasselblad, we should first remind ourselves a few things about the legendary photographic equipment manufacturer. Let me say that again – Hasselblad is legendary, much like Leica, Carl Zeiss or Rolleiflex, and has earned the same sort of respect from photographers all around the world. Founded as a trading company more than 170 years ago (in 1841, to be precise), the Swedish now-camera maker started off by producing film cameras for the military during World War II. After the war Hasselblad has become best known for its stunningly beautiful, robust, as-good-as-it-gets medium-format film cameras designed for regular people. Some photographers tend to cringe at the words “film camera” as if they are a thing of the past. And yet they should not – “Hassies” are as craved today as any film camera could ever hope to be. The model you see above is called the 503cw and is the last of the 6×6 format 500-series, still much sought-after. In fact, the only reason I own a Mamiya (as much as I love it) is because I could not afford a Hasselblad 500cm at that time – they are quite expensive! A classic, then. A manufacturer who is known for producing timeless, gorgeous, highest class medium-format cameras for the last five decades or so. But that is not Hasselblad’s only legacy. There are digital Hasselblads capable of such insanely high quality images (at least when used at base ISO), not even the mighty D800 can match them. Sporting enormous high-resolution sensors (and being quite enormous themselves), cameras such as the H5D-60 cost up to forty thousand dollars. Naturally, such cameras are not for the wedding or wild-life photographers among us, but are used by large studios for commercial photography. They are big, quite cumbersome to use (when compared to conventional DSLR cameras), heavy and very, very loud due to that enormous mirror. Not just the classic camera, it seems, but also the ridiculously expensive choice if you want highest possible image quality (at least in good light). A state-of-art product for photographers with very specific needs. In short – the pedigree is there. Hasselblad sounds serious, does it not? Which might lead one to believe the Lunar is also a similarly serious camera. You would expect it to have a large sensor and an accompanying set of high quality Carl Zeiss prime lenses. You would expect it to be targeted at the most demanding photographers among us who would be considering the already-mentioned digital medium-format systems (be it a Hasselblad, Mamiya or any other), but who also need the camera to be a bit more manageable, a bit more portable. A field camera, if you like. Something that towers over conventional DSLRs and compact system cameras, knocks them out of the water, but is as easy to handle, as discreet. Sorry, but it is none of those things. It just isn’t, not by a mile. 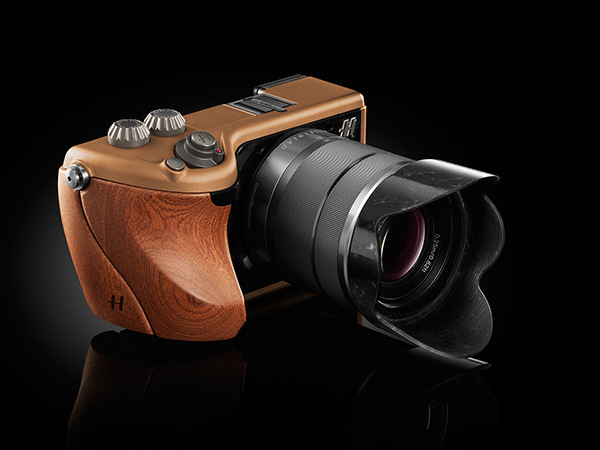 What the Hasselblad Lunar is, though, is a Sony NEX-7 with some metal and wooden bits stuck to it. There is only one single aspect that is in line with the manufacturer’s high standards – a high price tag. Absolutely nothing else. At this point you might wonder how expensive the Lunar is. In its cheapest form, the Lunar is $7,000 against $900 of the original Sony NEX-7. Strangely enough, the price is not a problem. You expect a Hasselblad to cost an arm and a leg. You also expect it to deliver something conventional manufacturers simply cannot. And that is where the real problem lies. As a camera, it is completely indistinguishable from any other modern mirrorless camera in its class. It has comparable image quality, electronic viewfinder and the rest of the specs. Some of those specs are already a generation old. I should try a different approach. I should try to just… open my mind, take it all in and be fine with it. Not mind the absurdity of the Lunar. Yes, it is actually a Sony. And it is quite old by Sony standards. And, alright, it has a 24 megapixel APS-C sensor, which is quite a bit smaller than those used in real Hasselblad cameras. A good APS-C sensor, but good for a $900 camera, not one that costs $7,000. Or $10,000, for that matter. Ten thousand dollars for a Sony NEX-7… No, stop it! Does not matter, remember? “Overpriced” is what springs to mind, but that does not matter. None of it does. “Just take it all in and be fine with it”, I remind myself. Because, you see, perhaps I am missing the point. Hasselblad obviously spent some time designing the product. They spent some time choosing those luxurious materials to drape it in and I have no doubt in my mind they must feel amazing to touch. Perhaps then it is not the function that matters in this case. Perhaps this camera should not be evaluated as a camera, but more as a… collectible. Something that gains value with time. A piece of art. An investment, for some. Not the function, no. The form? The… perceived value? Something to become an eternal classic, an object that is simply craved and wanted? It would make sense. The price, the looks, the limited quantity and the choice of all those materials. Underpinnings would not matter, would they? This is something you buy because it is beautiful, something you never use, but admire on the rarest, most special occasions. Not because of how it performs what would seem to be its main function. I can’t do this. I really did try, but I can not. A little bit of lunacy (pun intended) has never hurt anyone. I get the Leica M-Monochrom, for example. But this – no. In order for something to become great, to become a classic, a collectible, it has to start out great. The Hasselblad 500C was not a classic when it was released, it was just a camera much like the Canon 5D Mark II is just a camera today. But it was a great camera in its essence, it was designed to perform as well as it could, it was designed as a 500C from the ground up. Back then Hasselblad focused its efforts on designing a great camera which, it so happened years and years later, became a classic. It was beautiful and managed to become even more beautiful today. It aged well, because it was so timeless to start with. But mechanics do not get old the same way electronics do. The Sony NEX-7 started out great, it was a good digital camera. But it was a digital camera. Today, less than three years later, it is already quite old. Give it three more years and it will be hopelessly outdated, just one of many, many other similar cameras that came and went. Thus, there is nothing timeless about the Lunar nor the NEX-7 that is hiding under all the wood. I can’t think of a single Sony interchangeable lens camera that is designed not to get old. Sony is an electronics giant. Those cameras get old – in a year, two, three, five, but they still get old. Some are replaced just months after being released. They are nearly disposable. Temporary. They are designed to be such. The already mentioned Hasselblad 500C never left anywhere, it merely took a step aside to let newer products pass, yet stayed, lingered. Lived on. That is not to say a digital camera has no chance of becoming a classic, a collectible, simply because electronics become obsolete so quickly. Of course it can. By being innovative, ahead of its time for one. So, the fact the Lunar is digital, like its price, is not as much of a problem as one might think. The big problem is Hasselblad’s approach to designing it. It was launched as a collectible from the start, not as a product to be used, to beat the competition into the mud. Hasselblad did not attempt to launch a truly great camera, one that would hold its own against time, one that would become a classic. They tried to make a classic and failed (or at least it seems like it today). Because they just took an existing model made by a completely different manufacturer, and put it in a new case. Lunar is a Sony, make no mistake. It is a Sony wearing a Hasselblad shirt. That does not make it a Hasselblad much like wearing a Ferrari t-shirt does not mean you own a Ferrari. And in this case, Sony is not the one making itself look silly by trying to be a more desirable product, it is the Swedish manufacturer falling a great number of steps by being dishonest. So, the technical aspect of the camera is not great. But what about the design? Well, the looks are completely subjective, of course, but since this whole article is just basically our opinion, why not express all of it? And, to be honest, the first time I saw the Lunar I thought it was pig ugly. Then I thought – no, no, that’s unfair to the pigs. Since then the looks have grown on me a little (highly depends on the choice of materials, mind), but I still would not call it beautiful. Controversial? Yes (and that is arguably a good thing for an object you’d want to be seen as a collectible). Better than the boring, same-old-same-old shaped DSLRs of today? Yes. And yet still nowhere near a Leica MP, in my mind – a camera that also seems to be a lot more honest about what it is, what it does and who it is for. Even if we don’t compare it to anything else, beauty or materials used alone are not enough. Might as well pick up a Canon 550D and drape it in gold. Would that make it special? No. Not one bit. After reading the introduction to this article you might have gotten the idea that I was somehow happy that Hasselblad’s CEO got replaced. And I was, but for the right reasons. It is not that I am glad Dr. L. Hansen lost his job. He had the right idea about Hasselblad – it needed change. But he took the wrong step with Lunar. You might have gathered that from my rant :) The new CEO, Ian Rawcliffe, is the step to fix the wrong one. I hope that does not mean they are going back to not trying to shake up the industry. I hope that means they are looking for better ways to do that. The new camera that they announced seems to compliment my hopes, because, along with the recently announced Phase One IQ250 back, Hasselblad H5D-50C will use a CMOS sensor rather than a traditional for medium-format CCD. Hoping not to start the CMOS vs CCD debate (then again, who does not like a good debate? ), let me just say that both have their strengths and weaknesses. The point is change itself in a market that, when compared to cheaper cameras from Fujifilm and even Nikon, Canon, Sony and the likes, seemed to have been stagnant for far too long. I really can’t say what awaits the Hasselblad Lunar. I can say I hope it will be forgotten, purely out of the respect I have for Hasselblad. Maybe, just maybe, it will become a collectible simply because it is so fundamentally wrong. All in all, though, Hasselblad made a mistake. There was a welcome idea at the core. To design a great camera, so great that it would become a classic. They failed firstly because they did not design it. They picked up a Sony. A good manufacturer, but one that is all about being current and modern. And secondly, they skipped the “great camera” part and went straight for “collectible”. I will be very, very surprised and quite disgusted if that will actually work. And if the Lunar was supposed to be used as an actual camera, to compete against similar products… Really? It then becomes even less interesting. Utterly, utterly pointless. The Sony NEX-7 is a good camera. The Hasselblad Lunar is not. Yes, they are, as near as makes no difference, identical on paper. But the Sony knows what it is, and the Lunar, well, it’s just pretentious. My respect goes to the original thing, not one pretending to be a Hassy. Not the person who’d say – “I have a Hasselblad!”, and to whom you would answer – “Nope, it’s a Sony”. Now, let’s see some real change from such a legendary manufacturer. Only ten years ago a budget full-frame camera was preposterous, yet now we have the Canon 6D retailing for just $1,899. Perhaps it is about time we saw a relatively affordable digital medium-format camera? Maybe I am ignorant and if so, forgive me, but I see no reason why medium-format camera manufacturers should not learn a thing or two from mainstream brands. After all, Pentax has already made its move with the 645D. Why not Hasselblad or Mamiya? Here’s an idea: a digital Hasselblad 503cw. A manual camera with all the appropriate analog controls, just with a 6×6 sensor at its heart and an LCD at the back. Let’s see the industry shaken up, how about that? If I were to blow $10k, I would get a Leica 50mm f/0.95 Noctilux-M Aspherical. That or a Nikon 600/4. They are saying on Luminous Landscape that both this Hassy back and the new Phase One back are both made by Sony, so they could certainly design their own body to use it! I’m thinking of a Pentax 645d type product (and price). I totally agree with you on this point, Romanas. At least those silly collectable Leicas with crododile hides and gold leaf are state-fo-the-art cameras capable of performing as well as any other Leica. Leica also has its moments with the rebranded Panasonic super-zooms and such. Though they are a bit less in-your-face and do not attract much attention. In general, though, yes. Not a great chapter for Hassy. Glad if it’s over. There are other ways to attract attention. And if they are already at it, why not design a proper camera? Do what Fuji did with X100. Just got an email from B&H. They have a used 503cx with gold electroplating. At least it’s a real Hasselblad, although frankly I wouldn’t be caught dead sporting such a look-at-me item. Hopefully they’d do the right thing and draw a line under this sad disgrace. Well articulated article and pretty much sums up how I felt about this Hassy Lunar-cy. I have actually had the misfortune to see the Lunar-cy nonsense alongside it’s sibling the Stellar. And yes, you are correct in your guess that the Lunar-cy feels nice to hold, but I think that’s mainly because it has a more substantial grip than the plain vanilla Sony NEX upon which it is based. If there’s something to add, is that the hasselblad is the only camera ever to have been used on the surface of the moon. And that’s something no other camera maker can claim. Yes, the photographs taken on the moon were taken with a modified Hassy. This is known to me. :) Thank you, Gustavo! 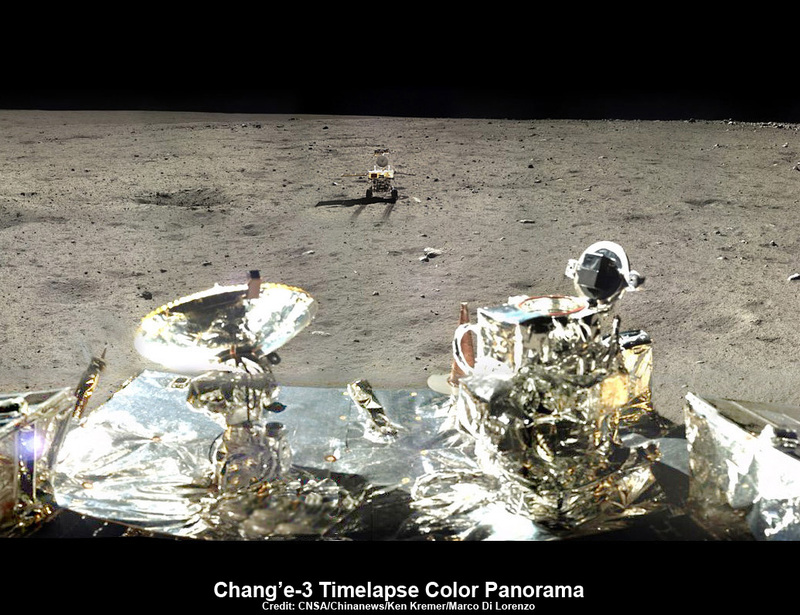 Nope, why just yesterday Yutu was snapping away hasselblad-less, many cameras have been used on the moon, unless you mean the only cameras operated by humans pushing the shutter button, then maybe. I like your “words” about Hassy… As a student at Art Academy in Warsaw I started my photo venture with tween lens Rolley, .After I move to San Francisco where I work as a graphic designer/photographer I shot Nikon+motor drive like Jim Marshall and Annie Leybovitz. And when she bought 500CM I did too getting grate shots…. After moving to Europe to cover foll of Berlin wall and Solidarity movemant shooting as a “stringer” for Black Star & Easy News. Now teaching in Europe, Canada and US, I retire. Couple years agow I start with project on my CAMERA…. witch I Patented and now I’m looking for and agent to push this babe around…. would you be interested. ??? Nope, not maybe, but certainly. Man hasn’t set foot on the moon since ’72. That’s over 40 years. They were using hasselblads on Apollo 17. Also, “only camera ever to have been used on the surface of the moon” is just plain wrong, it’s not even correct for Apollo missions, the Apollo missions also used a 35-mm Lunar Surface Close-up Stereoscopic Camera, as well as Westinghouse Lunar Color Camera among others. Romanas, they already have/had that. First there was the 503CWD 16Mpix 37 x 37mm sensor cam kit, then they introduced two 645 digital backs for the 503, the CFV 39 and CFV 50 (39 and 50 Mpix respectively). The annoying thing about the two latter backs is that to shoot square format, you end up with a square crop out of the 645 aspect ratio sensor which results in a 37 x 37mm chip (the same as the original 503CWD) and a 1.5 crop ratio. I am aware that there are digital backs available for the 500 series. But none of them are 6×6. :) And that is the biggest gripe. None are full-frame. And, to be frank, sensors are not THAT expensive. They just aren’t. Large sensors are THAT expensive. They just are. That Hasselblad/Phase One etc. do not have “full frame” sensors (excluding the new 100 megapixel Phase One back) is due to price. Of course everything is available if you want to pay up but such a large sensor would likely be extremely expensive with todays technology. Saying that larger sensors are not THAT expensive is simply not true!!! I think digital backs are available for Hasselblad 503 if one is willing to spend ~ $17,000. I may be willing to pay ~$1000. I bought my 503 some 15 years ago (a good deal on E bay). I thought of selling it on E bay, but a thought of parting with it make me too sad. as I mentioned above, none of the digital backs are 6×6. And that is a real shame. Some of the actual reviews of the product suggest that your “I’m sure it feels great in the hand” comment/assumption might not be the case. I think these were linked to on photorumors a while back. One guy was saying he was shocked at how flimsy and cheap feeling the camera was compared to the NEX-7. Also, he said the functionality was actually much worse since they changed out the dual thumbwheel dials (which can quickly be adjusted with 1 thumb) for dials that were so stiff that two fingers were needed to grip and adjust them. Since they are on the right this means that the index finger needs to leave the shutter to adjust them! All the more reason to forget this ever happened, Preston. :) This article, then, is a sort of Hassy Lunar closure for us at PL. Hopefully. The article made me chuckle… Having not had much experience or knowledge of what Hasselblads look like, when I saw this monstrosity being released I was like “What the hell is this? Who would even want to be seen in public with this??”. That was my first real impression of that company, and for a little while that’s whats coloured my impression of them. It’s only later when I read up on them I realised who they were and what they had achieved historically. Now imagine people not really interested in photography, seeing one of things, what would they think? They’d think it was some sort of joke company! So yea, time to dump the CEO. p.s. It’s too damned ugly for words! I am glad you enjoyed the article, Daniel, and can’t say I’m surprised you did not much care for the camera. But yes, Hasselblad has tons of things to be proud of. Not the Lunar, surely. Hassleblad is, or was, a great camera. And their use on all NASA Apollo missions to the moon pretty much defines their pinnacle status. I never shot with one because I could not afford it. I live in a small town, but one where Eastman Kodak had a huge chemical plant. Because of this, there was enough Kodak people in town to support a local high end photographic retailer for many decades. I don’t know the story, but I think this little local retailer, who stocked Hasselblad extensively, has some huge grievances against the company for business practices when the photographic industry came unwound. Probably something about inventory requirements, or non-refundable deposits. Or deposits that we simply refused to be refunded. I wish I knew what the story was. I could ask, but at any rate, Hasselblad is dead to me. If I were buying anything in this class today, it would be Leica S.
I don’t think so. Medium and large format have become even more specialized and thus more marginalized than ever before. That’s not just my opinion. Read the Zeiss press releases about their new Otus series of lenses. With not even a modest demand for anything larger than a full frame 35mm digital sensor, I’m afraid the entire infrastructure necessary for a medium format digital system has collapsed. Even exclusive brands like Zeiss, Leica, or Ferrari and Lambourghini require some level of sales volume. So what is the potential for medium and large format digital? There might be special applications, but I don’t see demand or sales volume supporting anything anywhere near what Hasselblad once had. There’s a smattering of medium format digital out there today, but it is nowhere near what once was. If I read right, Zeiss is out of medium format lenses, citing the market has moved to full frame. Whatever may be left is going to be forced by volume to be strictly handcrafted. So you may see something like hand built cine glass out there from Panavision and Cooke, but it will necessarily carry comparably stratospheric prices. The article is spot on for one main reason. Hasselblad medium format is a studio camera, that is their niche since I can remember (from the 70’s anyway). I am in my second coming as a keen amateur photographer and am firmly in Nikon gear having bought lenses for my first purchased body, so God help me if the new models keep arriving with faults or silly specifications. However… going back to the Hasselblad, in my early days, with a film SLR, with 35mm you could only go so far. I had great lenses, I used the best film I could find, and even so, a full frame print, uncropped, even at 20×16 was producing well dodgy results, grain, unsharp edges, even the centre sometimes not entirely perfect but good. At the time, the ONLY way to improve things was (you’ll love the way I phrase this bit) to buy a camera with higher resolution. Now, with a film camera, that was not possible. Whichever 35mm camera you owned, up to a point anyway, you were limited by the film that you put into it, and subsequently made your prints from. This is the point where very keen amateurs would think of getting a medium format camera. At the time there were two main formats, 60mm x 45mm (645) or 60mm x 60mm. There were two 60mm x 70mm models that I can think of, the Mamiya RB67 and a Pentax model I can’t remember now. I actually got a Mamiya 645, and, it did produce great images when enlarged, and superb images in standard sizes >= 102×8″. However, it weighed a ton! Looking back it was a mistake, I should have put the money into better lenses, or not spent it at all. Encouraged by the results, I sold it, and went for the RB67. An even bigger mistake (literally). I was a young man then, and even so, it, plus two lenses, was a nighmare to transport outside the studio. I persevered with it for a while but never really nailed a single shot due to the cumbersome nature of the beast. Life changed, work demanded more of me, the interest in photography went on hold for 15 years. The 35mm gear went into a camera bag in the wardrobe, the Mamiya ended up stored in an aluminum case for ten years until I ebayed it. Jump in a time machine and arrive in a camera store, in 2009, which is what I did, and I came out with a 12.1 mp Nikon, which got upgraded twice to the 24Mp I now enjoy. When I look at the sheer quality I get from a DX 24Mp sensor, and think of what I had to go through to get near to that, in film, I have cold sweats thinking of the cost, the weight, the wasted opportunities due to manhandling a huge camera, and think to myself… with the D800 now available (that or it’s replacement is my next goal) what on earth would anyone, other than a studio based commercial photographer, want to be doing with a Hasselblad? The way I see it, the D800 is and was a groundbreaking, from a resolution perspective, genre of camera. It is only a matter of time before Canon, or even Nikon again, beat the D800 with something even better. Such is the rate of progress now. We should all be thrilled that for £2000 (Nikon) or £40,000 (Hasselblad) you could buy 20 D800’s for the price of one Hasselblad and the image quality is nudging, not quite there yet, but, nudging the Hasselblad. No doubt both brands will improve their sensors and lenses over time, but one has to ask, have we almost reached the point where it is irrelevant, are we almost already there, as far as DX image quality goes? When you look at the images in magazines, taken not only on FX, but also DX models, you have to be thinking that sooner or later the medium format will perish. If a photographer can get the required image quality from an FX camera, why spend 20 times as much? I wish I was at the start of my photographic journey, rather than in the autumn of it, I am so envious of those new to photography, who will see remarkable cameras arriving ten, fifteen, twenty years hence. Of course, I realise the Lunar is not a medium format – it’s just an attempt to use the Hass name to get a slice of the DSLR action – just making it clear as I didn’t actually say it above! I almost went for a Mamiya RB67, but bought the Pentax 6×7 instead. Same size negative, but no bellows and a design like a super sized 35mm. Both are great cameras. I never had money for lenses, but made a lot of great pictures with the only one I owned, the Pentax 90mm f/2.8 LS. This gave me a focal plane shutter in the camera body and a leaf shutter in the lens for flash sync up to 1/500th second. I was into a lot a fill flash using a Sunpak 611, a big “potato masher” strobe, similar to Honeywell to Metz. I still have the Pentax 6×7 and everything is in working order. The 6volt silver cell batteries it requires are hard to find however. They are the same ones used by my Minolta incident light meter. My main cameras these days are Canon 5D Mk II and Mk III. Lots of Canon lenses. Even so, I have a Panasonic GH3 mirrorless with a 25mm f/1.4 prime. This is a stunning camera, a revelation in size and weight. It can be carried all day almost without notice. I have it combined with a MeFOTO carbon fiber travel tripod, a perfect match. You can’t take the picture if you can’t carry the camera. At CES in January 2014, Panasonic showed a new camera behind glass, identical in appearance to the GH3 but with a new model designation indicating 4K video capability, making it comparable on some level to the Canon 1Dc, a $12,000 body. Formal announcement will probably come at NAB in April 2013. If rumors of a $2,000 price are true, I want two. So let me start the CMOS versus CCD debate here. For almost all of my photographic career I used large format film and only turned digital with the D800E. And although the resolution is sufficient for prints up to 23″, when all comes together for the film, there is still a tonal separation and fine gradation that cannot be matched by digital capture. And although the (not so) large Hasselblad and Phase backs are financially out of reach I had hoped that, eventually, they will become cheaper and thus an option to replace large-format film entirely. But now we learn that Hasselblad (and Phase) are going to propose us, for 30 k$, a back that consists mainly of a Sony sensor with the same pixel pitch and image quality (per surface area) as the one in the D800? And we should be glad about live view and high iso? If only Sony made this sensor available for other camera manufacturers, then Hasselblad should seriously consider rosewood and crocodile leather on their H5D also. You’ve answered your own question. Back in the day, the only hurdle for large format was increased media cost, using more sensitized film per exposure, and lenses with coverage for the format. Unless there exists some unrelated application such as medical imaging that will amortize R&D costs for large format digital sensor development, the potential sales volume for a 6x7cm or 4×5 inch view camera clearly do not exist. Especially when all evidence points to the fact that this technology is most efficient at small sizes. The megapixel ratings of the latest cell phones are crazy, but obviously there are problems achieving even full frame 35mm sized sensors, or why all the complications of introducing crop sensor cameras? There may be some fluke discovery that makes bug digital sensors cheap and easy to manufacture. But don’t hold your breath. Until then, who in their right mind would undertake the R&D investment necessary to bring a large format camera to market? I don’t like the look of some designer clothes. Others do. Hassleblad have kept themselves going, big point, and you are talking about them and they are employing folk. The Mamiyas or Pentax were not an option when you required interchangeable backs for monochrome or transparency or colour neg films, nor wanted the trouble of Ni-Cad battery that froze when cold. I used 500c and, for interiors the SWC (Biogon – proper wide angle lens not compromised retrofocus as you, me and others will now have), both were superb and took years to finance. Never regretted it. If people have the money, or own the oil-fields, then let them have whatever they desire. I wouldn’t look twice at a sony Nex-7 but I would be interested to see the Hassleblad clone. The Lunar is the least of Hasselblad’s problems. With the V series dead and yet another owner, Hasselblad is quickly becoming a brand entity and nothing more. Without Fujifilm’s long collaboration on the H series bodies and optics, they’d essentially be a company without a product. And they did it again. Not as bad as previous models (I actually like the back), but still pointless. Christian, you are right. The same thought just crossed my mind, too. Still trying to get passed the slight shock and actually write the announcement. update they just announced a rebadged A99, ugh. the nail in the coffin. Remember the XPAN? and the 9 series? great cameras. if they made and XPAN-esque or mamiya 7 like mirrorless, i know a great many travel photogs who would kill for one. My dream was for a digital back for my Bronica ETRS or SQ. But just like my other dreams, it drifted off into the fog.